The load cell HPS was developed for applications in the harsh industrial environments found in the food, chemical and allied industries. The fully welded stainless steel construction is hermetically sealed to meet the both IP66 and IP68 ratings. The typical applications include low capacity platform scales, multi-head packaging machines, belt weighing, check weighing, loss-in-weight feeders, belt scales and general process weighing applications. 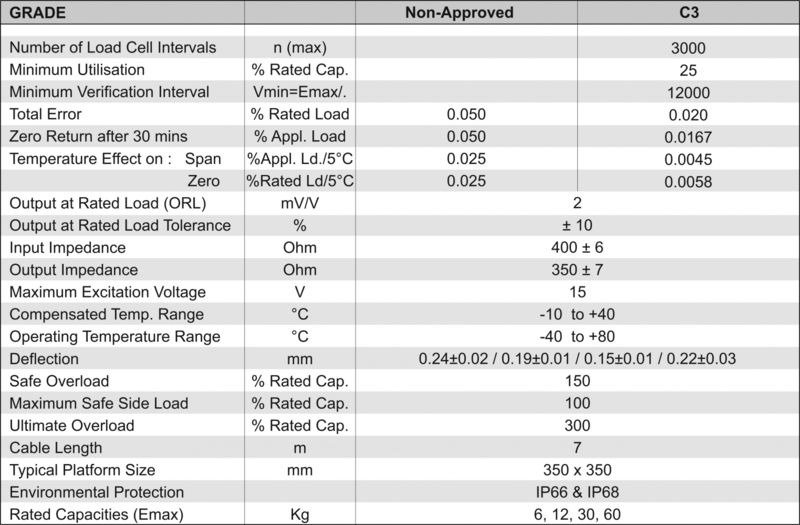 Due to the unique design and construction of the HPS load cell you can still weigh accurately in harsh industrial environments even when the loads are not placed centrally over the load cell. A platform scale can easily be constructed using this load cell. You simply have to mount the load cell between two stainless steel plates up to 350 mm square, with a small spacer between the load cell and the mounting plates to allow it to bend, securing the bottom plate to the threaded holes in the underside of the load cell (cable entry end) and the top plate to the threaded holes on the upper face (opposite cable entry end). The load cell then has to connected to a suitable display or readout. 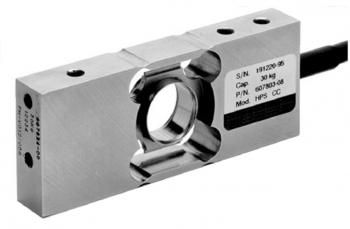 The HPS platform load cell can be supplied with an optional ATEX Approval. 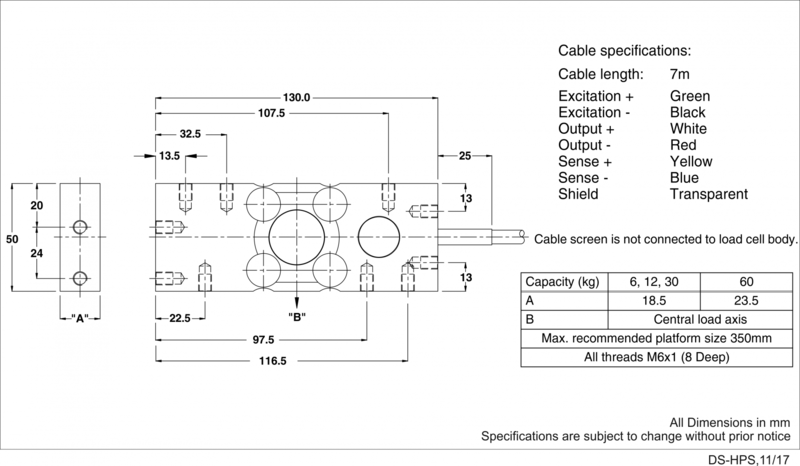 The HPS load cell is fitted with a 6 core shielded cable as standard.